The best prevention for any algae is not to allow it to get a foothold. Keep your chlorine levels at the recommended levels, brush the pool surfaces frequently. 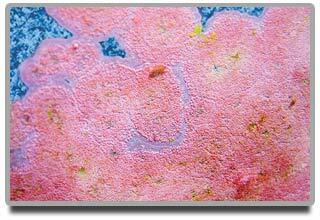 Since Pink algae are not algae, shocking the pool in most cases will not solve the problem. The use of a product called Yellow Out is recommended, Yellow Out is not an algaecide, it is a patented chemical that when used in conjunction with chlorine will eliminate the pink algae. This entry was posted in Swimming Pool Products on March 6, 2015 by saniquim.